This limited edition sword (500pcs worldwide) has been a labor of love for Darksword and their team. 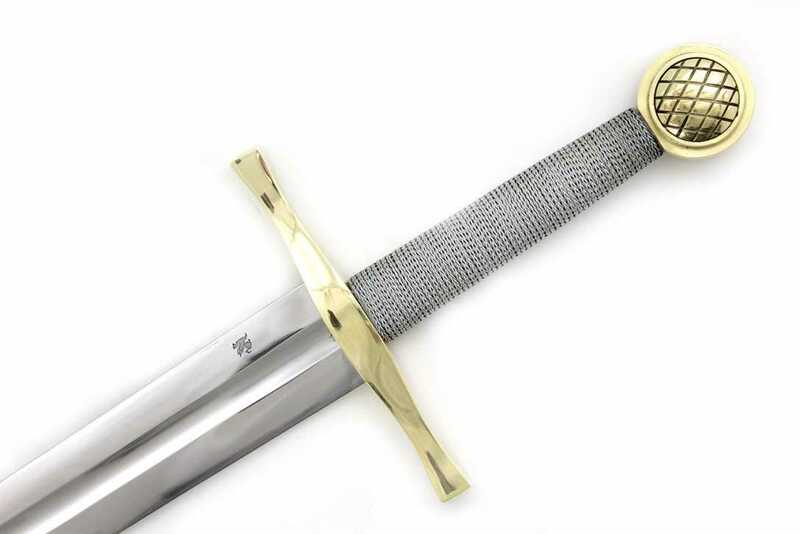 Made of dual tempered 5160 spring steel steel hardened on the Rockwell Scale to a hardness of HRC 53 – this sword is a very personal tribute to the 1981 classic 'Excalibur' by John Boorman, which was the favorite film of Darksword Armory owner, Eyal Azerad, and his first introduction to "the middle ages". 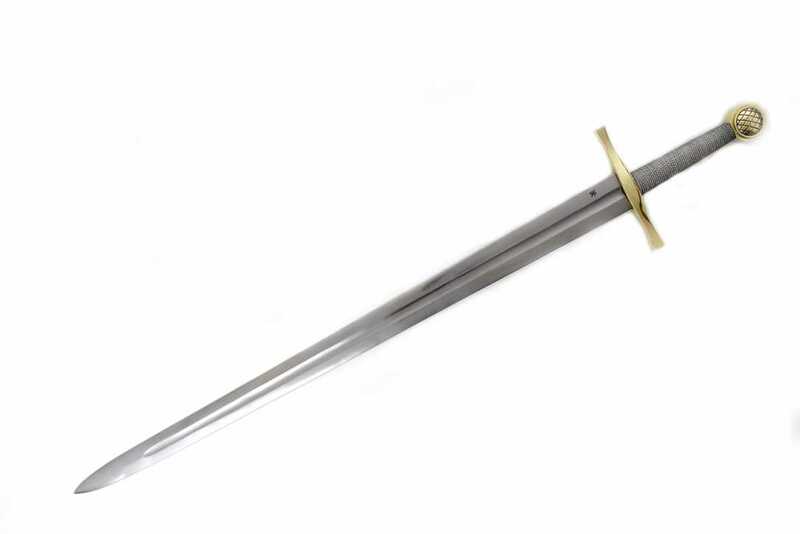 A heavy, but exceptionally well put together piece (peened at the pommel for extra durability) this is a sword that looks fantastic on display, but it is far from a purely decorative piece - giving it more presence than any display sword could ever hope to achieve. "Making yet another “decorative” Excalibur was not an option. Our recreation had to be classically elegant, vibrant, and faithfully crafted from the original prop. 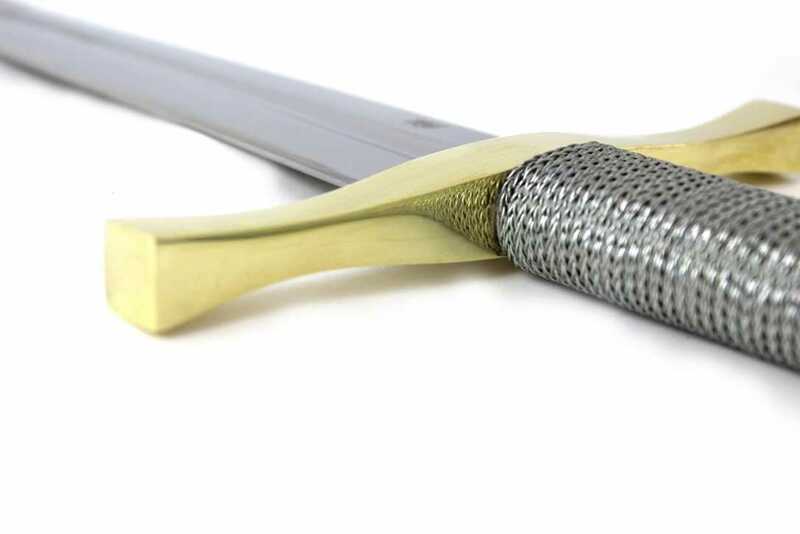 Our goal was not only to produce a finely hand forged sword, but to produce a lasting legacy of the film." 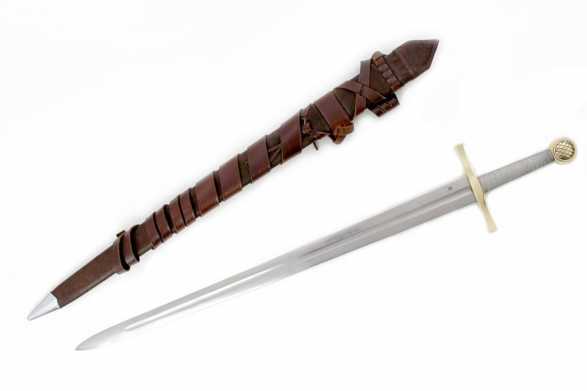 The hilt itself is extremely attractive - with solid brass fittings and a wire wrapped handle, true to the movie prop original. As mentioned, this is a limited edition collectible, with only 500 pieces to be made. With our special reduced pricing and free shipping in the USA and Canada, this sword is certain to sell out fast, so get it while you can! 5160 Hand Sharpened Spring Steel Blade, Dual Tempered with an edge HRC of 60 and core HRC of 50. 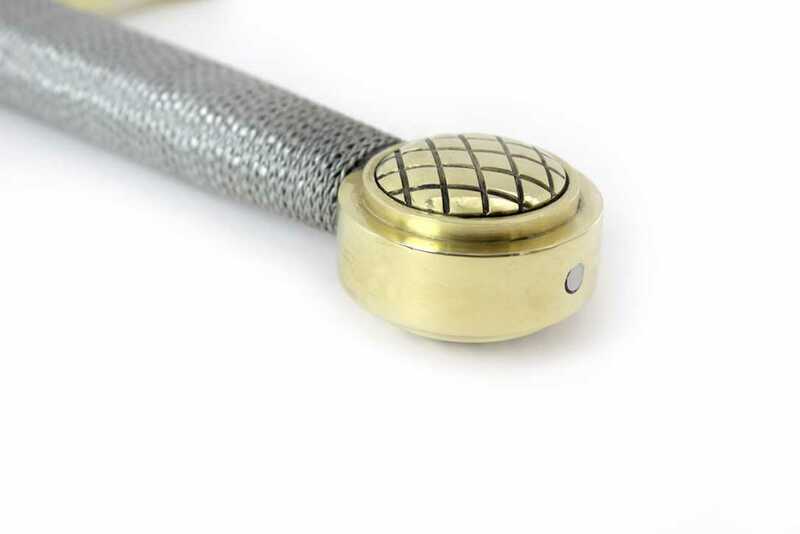 Solid Brass Fittings. Wood core wire wrapped handle. Wood core leather wrapped scabbard with wearable belt and scabbard suspension system. Peened pommel for additional durability.